Mets players David Wright and Eric Young Jr. were both nominees in their respective positions for the Rawlings Gold Gloves. Neither of them won however as the awards went to a pair of Colorado Rockies, Nolan Arenado and Carlos Gonzalez. I’ve never been a big fan of the Gold Glove awards because it usually just goes to the biggest name guy who puts up the best numbers. 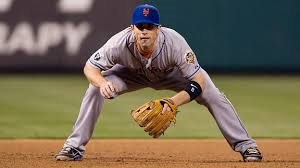 Wright was looking for his third gold glove and overall he didn’t have his best year at third. I felt Wright’s best season defensively came in 2012 when he lost out to Padres 3B Chase Headley, (who actually cost his teams runs). This year Arenado was fantastic at third and defintly deserved the gold glove over Wright in my unbiased opinion. If you haven’t seen this rookie play third, I highly recommend it he is a treat to watch at the hot corner. UZR had Wright saving the Mets five runs at third compared to Arenado’s 30. Advanced statistics have Arenado as the games best 3B. Young in his first year playing everyday wasn’t all that great defensively either and it was kind of head scratching to me to see him be even one of the three nominees for this award. Fangraphs and UZR both had Young costing the Mets runs in left field. Juan Lagares stared in center and definitely deserved the award in center field. Carlos Gomez who won the award also really deserved it but Lagares should have at least been one of the three nominees. I don’t want to hear about how he is a rookie either because Arenado won it in his rookie year as well. Overall the Gold Gloves were improved this year but still have a ways to go before they can be taken seriously. Here is the complete lists of 2013 Gold Glove winners. Cardinals rookie right-hander Michael Wacha has captivated the baseball world in the month of October, generating a ton of buzz and shutting down championship caliber teams like the Dodgers and Red Sox. His story with the Cardinals almost didn’t happen however, as Wacha could have been taken by 18 other teams, including the Mets. 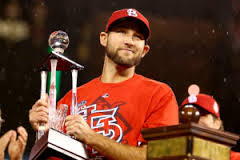 Wacha, the NLCS MVP, has gone 4-0 with a 1.00 ERA in the postseason so far. He is expected to start Game 6 of the World Series at Fenway Park. The idea that the Mets would pass on stud pitchers just because their farm system is lacking position players is just absurd to me. The MLB draft is a crapshoot at best and you must take the best available player especially in this scenario when it doesn’t look like money was a factor. The thought that they just zoned out on half the talent pool (pitchers) early on in the draft only makes their scouts jobs even more difficult. It doesn’t make a ton of sense. Keep in mind they did the same thing the year before when they took OF Brandon Nimmo (who didn’t have high school baseball in his state and is still in High A) over Jose Fernandez who was taken one pick later. That year they also suggested they were only looking at position players. The Mets in 2013 also only were focused strictly on position players with their first round pick. The Mets have some nice starting pitching in their minor leagues but they don’t have nearly enough to simply stop looking for more talent. Look maybe Nimmo and Cecchini become solid players for the Mets but they only should have been selected if they were the best available according to the Mets, they shouldn’t have been taken just because the Mets don’t have a ton of position player prospects. Alderson has taken a position player in the first round all three drafts and they still don’t have a position player prospect that is thought of all that highly elsewhere except for Travis d’Arnaud who was acquired in a trade. For the record at the time I wouldn’t have drafted Wacha either so I can’t completely kill the Mets here. 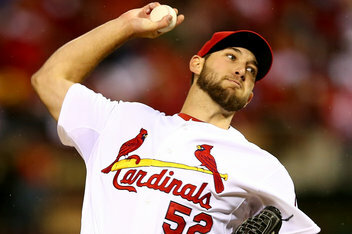 My reports on Wacha were that he was supposed to be one of the first guys from this draft to the big leagues (he was) but he was probably more of a mid to back end starter. The name I kept hearing was Jon Garland and I wouldn’t have drafted a young Garland in the first round. The Mets have the 10th overall pick in the 2014 draft and hopefully they take the best available talent, no matter what position he is. With action really not picking up on the Mets offseason for another six weeks, here is the latest baseball news that relates to the Mets. Matt Harvey underwent successful Tommy John surgery Tuesday. Expected recovery time is 12-14 months. Tim Lincecum agreed to a 2 year $35 million deal extension with the SF Giants Tuesday. Cuban defector Jose Abreu agreed to a six year $68 million deal with the Chicago White Sox. The Royals will shop DH/1B Billy Butler this winter. The Mets will make resigning Marlon Byrd a “high priority” this winter BrokeMets has learned. SS Jhonny Peralta is unlikely to return to the Tigers. Cuban defector, right-hander Odrisamer Despaigne has worked out for four or five teams including the Mets. The Mets are close to a deal with Clear Channel Media to have their games broadcasted on the radio station WOR (710 AM), The Mets had been with WFAN for 27 years before splitting apart a few weeks ago. Howie Rose is expected to move to WOR with the Mets but it is unknown at this point if Josh Lewin will move as well. The Yankees will now have their games broadcasted on WFAN. This to me is incredibly disappointing. I grew up listening to the Mets on WFAN and now that’s all gone. As a Mets fan I wish them the best here on 710 AM. I really hope Lewin joins Rose at WOR. I thought Lewin did a terrific job last year and I was always a big fan of his when he was the TV play-by-play guy for the Texas Rangers a few years ago. 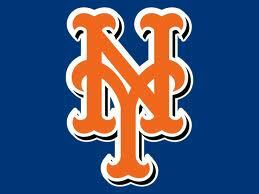 Thoughts on the Mets move to WOR? The Mets are unlikely to pursue a first baseman from outside the organization this winter, reports CBS Sports’ Jon Heyman. The Mets have thought about acquiring a second basemen in a trade such as Howie Kendrick (who is available) and then moving Daniel Murphy back to first. This is definitely a possibility that you should keep an eye on. It doesn’t seem to make a ton of sense to me as Murphy seemingly has finally figured out second base and doesn’t have the power potential that they likely need from the first base position next year. This has been the speculation all along but it appears the Mets first basemen next year will likely be either Ike Davis or Lucas Duda. Davis will be eligible for arbitration for the second time this winter and will get a raise on his $3.1 million salary despite his poor season. Lucas Duda will be eligible for arbitration for the first time this winter and will likely be tendered a contract. Josh Satin will likely be on the Mets bench next year after establishing himself as a major league player not a journeymen minor leaguer. The Mets really liked international free agent Jose Abreu, as Met officials were very impressed with his power but they weren’t one of the five or six teams to make a serious bid on him. The White Sox signed him to a six year $68 million deal a few days ago which was the highest ever for an international free agent. 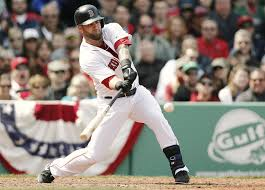 The Mets will look into free agent 1B’s like Mike Napoli but are likely to stay in house with Ike Davis and Lucas Duda. I still believe the Mets will wind up trading one of Duda or Davis to another team. While Ike has more upside he is coming off a second consecutive terrible year and is starting to get pricey in arbitration. We talked before the season that the Mets were only going to go as far as Davis and Duda took them. They took them to the curb and the Mets are looking at a second consecutive 74 win season. If the Mets can get anything that could help them in ’14 for one of these guys they will pull the trigger but if not expect both of them to be back next year with some kind of first base competition in the spring. My gut says they will give Ike another chance at first next year but it’s still too early to tell. With arbitration eligible players like Daniel Murphy and Dillon Gee starting to get significant raises in arbitration, it would make a lot of sense for the Mets to consider locking both of those players up to long-term deals so that the team can gain some kind of cost certainty. According to Adam Rubin of ESPN New York, that is not going to happen. “But the Mets apparently don’t feel compelled in any of those cases to get cost certainty now, or to lock up those players for any of their free-agent years at this point.” Rubin writes. In fact not only are the Mets not considering a long term deal this winter for Murphy, but they will dangle him in trade discussions this winter according to Rubin. This doesn’t make a ton of sense to me. 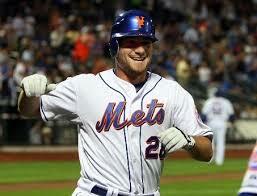 Murphy has established himself as a top 10 second basemen in Major League Baseball. The Mets don’t have a lot of top 10 anything right now so it doesn’t make sense to move Murphy. He was top 5 in the National League in hits this season and is under team control for two more years. There is no reason to sell high on Murphy unless you believe he can’t duplicate this level of production. I think Murphy, who is the second best hitter on the team should be kept around on a long term deal or at the very least around for next season. Remember Sandy Alderson had nearly dealt him to the Dodgers and the Tigers the last two offseasons for very little in return. As for Gee, as long as he keeps racking up innings he will continue to get raises in arbitration. It sounds like the mets are saving all of their money for free agency and feel comfortable going year to year with these two players for now. Should the Mets sign any of their player to contract extensions this winter?